Services were held Wednesday, January 13, 1982 for the Rev. 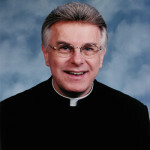 Francis A. Wisniewski, CSV, associate pastor of Ss. Peter and Paul Church, 5480 Main St., Williamsville, New York, and member of the Clerics of St. Viator for 48 years, who died Saturday, January 16, 1982, in Kenmore Mercy Hospital at the age of 68. He had served the Williamsville parish since October 1980 through arrangement by the most Rev. Edward D. Head, bishop of Buffalo, and the Very Rev. Kenneth Morris, provincial of the Clerics of St. Viator. A native of Chicago, Fr. 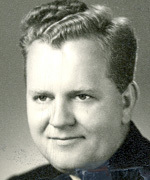 Wisniewski taught English at Sacred Heart Seminary, Melrose, Illinois, following his ordination in 1941. He then entered the parochial ministry in the Midwest, and later served as special assistant to Bishop Hunt, CSV, of the Salt Lake Diocese. Before coming to Williamsville he had served in pastorates in Selby, Roscoe and Hosmer, all communities in South Dakota. He was a 1937 graduate of St. Viator’s College, and took his theological studies in Kendrick Seminary, St. Louis. A parish Mass was celebrated on Sunday, January 17, 1982 at 7 p.m., followed by a Pontifical Mass of Christian Burial on Wednesday, January 20, 1982 at Ss. Peter and Paul Church, Williamsville, New York. 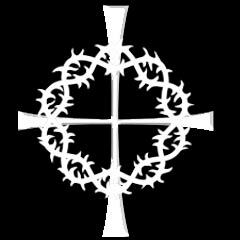 A wake was held on Thursday, January 21, 1982, at the Viatorian Province Center chapel, 1212 E. Euclid Street, Arlington Heights, Illinois, from 4:00 p.m. to 9:00 p.m., with a wake service at 7:30 p.m.
A mass of resurrection was offered at the Province Center chapel on Friday, January 22, 1982 at 10:30 a.m. Please remember Father Wisniewski in your masses and prayers. Taken from a provincial letter from Rev. Kenneth Morris, CSV and press clipping.